updated 8:26 p.m. ET, Sat., Oct. 20, 2007TALLAHASSEE, Fla. - Colin McCarthy returned a fumble 27 yards for Miami’s second touchdown in 11 seconds late in the fourth quarter and the Hurricanes beat Florida State 37-29 Saturday. For the first time since 1977, the rivalry game that helped decide so many national titles during the 1980s and 90s was played with neither team ranked. Fittingly, the Seminoles and ’Canes combined for nine turnovers, five by FSU. Minutes before Miami’s two quick touchdowns, the Hurricanes (5-3, 2-2 Atlantic Coast Conference) appeared to have lost their best chance to get the win when Kirby Freeman was stopped for no gain on a fourth-and-1 at the Florida State 1 with 5:29 left and the ’Canes trailing 29-24.But Freeman, who replaced injured Kyle Wright in the first half, drove Miami 83 yards in a 1½ minutes to take the lead 30-29 on a 13-yard pass to Dedrick Epps with 1:15 left. Xavier Lee, who was intercepted twice, then fumbled after being hit by Miami’s Teraz McCray, and McCarthy ran it in for the clincher. Lee threw two interceptions and lost two fumbles for Florida State (4-3, 1-3). He completed 14 of 32 passes for 208 yards in his third start this season. The Seminoles wasted five field goals by Gary Cismesia and Antone Smith’s first 100-yard game of the season. Smith finished with 114 yards on 22 carries. Cismesia’s fourth field goal, from 45 yards, gave Florida State a 26-24 lead late in the third quarter of the back-and-forth contest and he added another from the same distance early in the fourth quarter for the 29-24 lead. Freshman Guard Richard Barbee Set A Career-High With 29 Points In The Loss To Pfeiffer In a contest that saw 11 ties and five lead changes, Pfeiffer took the lead for good with 31 seconds left, including a free throw with six seconds remaining, and an Abbey last second shot fell short as the Falcons escaped with a 91-89 win over the Crusaders this evening at the Wheeler Center. Pfeiffer improves to 9-4 overall and 5-2 in Conference Carolinas, while the Abbey, which had its four game winning streak snapped, falls to 8-7 overall and 7-2 in Conference Carolinas. Crusaders freshman guard Richard Barbee led all scorers with a career-high 29 points, shooting 9-14 from the floor, including a 2-3 effort from three-point range, and sinking nine of ten free throw attempts. He narrowly missed recording a double double as he pulled down nine rebounds, dished out three assists, collected three steals and blocked a shot in 37 minutes. Junior guard Jonathan Jackson added 17 points, while Arturs Papans and Ric Marczenko both finished with 10 points as the Crusaders shot 49.2 percent (31-63) from the floor. Point guard Deonte Murphy led all players with eight assists. Pfeiffer was led by Thomas Carr's 21 points, while Logan Call and Quintel Maxwell both added 11 as the Falcons finished the evening with a 52.3 percent (34-65) effort from the floor. The Abbey is back in action Monday afternoon at 4:00 when it goes on the road to face Mount Olive. HAMPTON, VA- The 2008 CIAA Basketball All-Rookie Teams along with their respective Rookies of the Year have been announced as voted on by the CIAA Sports Information Directors' Association. 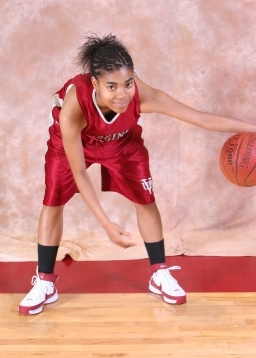 On the women's side the 2008 CIAA Women's Rookie of the Year is Allison Sikes of Saint Augustine's College. A four-time CIAA Rookie of the Week honoree, Sikes, a native of Richmond, VA, leads the Lady Falcons in scoring and rebounding averaging 10.9 points and 8.4 boards per contest, which rank 12th and 4th in the CIAA. She is one of three All-Rookie selections for the Lady Falcons who orchestrated a huge turnaround for a team that was picked to finish last in the CIAA Western Division. A six-win squad a year ago, Saint Augustine's is currently 17-8 overall and 12-4 in conference play. 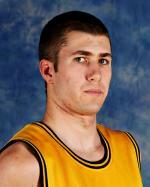 Also representing for Saint Augustine's is the 2008 Men's Rookie of the Year, Akron, OH native, Haywood Fain. Like his female counterpart, Fain has been named CIAA Rookie of the Week four times. He is fourth on his team in scoring at 10.7 points per outing and is averaging 6.5 rebounds per game which ranks 10th in the CIAA. He also ranks in both steals and blocks in the conference for the Western Division leading Falcons. In the final regular season game of the year, the Manatee Community College men's basketball team overcame a halftime deficit to defeat Hillsborough Community College 99-80 on Saturday.The Lancer secured a home game Monday against HCC in the Suncoast Conference tournament semifinals.Aaron Mitchell led all scorers with 23 points, and MCC had four other players score at least 13 points.The Lancers (14-13) have won six straight games. The semifinal game will be held at 7 p.m. at Hal Chasey Gymnasium with the winner advancing to Tuesday's final, where the host will be determined the highest seed.MANATEE CC (99) - LeCory Ruffin 5 1-1 13, Sheldon Shine 6 3-5 19, Riley Simmons 0 0-0 0, Jeffrey Mayi 1 0-0 3, Phyllip Taylor 3 10-14 16, Corey Williams 3 0-0 7, Jephtea Issac 0 0-0 0, Gregory Grant 0 2-2 2, Micah Hagans 0 0-0 0, Andy Peterson 4 3-4 13, Elisha Murray 1 0-0 3, Aaron Mitchell 6 11-13 23. Team totals: 29 30-39 99.HILLSBOROUGH CC (80) - Kelvin Higgins 6 4-6 20, Devin Smith 0 0-0 0, Kenneth Wilson 0 0-0 0, Ray Watters 3 6-6 12, Virgil Johnson 4 1-2 9, Cecil Coleman 7 1-2 15, Ronald Severtsgaard 1 0-0 2, Tyrel Adams 0 0-0 0, Keith Brumbaugh 7 6-9 21. Team totals: 28 18-25 80.Halftime score: Hillsborough CC 39, Manatee CC 36. 3-pointers: MCC 10 (Shine 4, Peterson 2, Ruffin 2, Williams, Mayi), HCC 5 (Higgins 4, Brumbaugh). Total fouls: MCC 22, HCC 27. Fouled out: Wilson (HCC). Team records: MCC 14-13, 7-5, HCC 13-15, 5-7.Juco baseballFLORIDA CC JACKSONVILLE 11, MANATEE CC 9 - Jonathan Griffin had two home runs and four RBIs, Bobby Haney was 2-for-4 with a double and an RBI, and Shawn Golus also had an RBI.MCC hosts Broward CC at noon today. Tuesday, Feb 26, 2008 Posted on Tue, Feb. 26, 2008 MCC makes tourney finalBy RYAN T. BOYDrboyd@bradenton.com Phyllip Taylor couldn't control his emotions. He deserved to wear his sentiments on his right shoulder. Manatee Community College's sophomore swingman pumped two index fingers in the air, exclaiming, "We are going to the 'ship. We are going to the 'ship. "Taylor sliced off the first part: "champion. "Taylor's six consecutive free throws with less than a minute remaining helped the Lancers seal a 97-89 victory over Hillsborough CC in the opening round of the Suncoast Conference Tournament on Monday at Hal Chasey Gymnasium.With the win, the Lancers advanced to today's 7 p.m. tournament championship game at St. Petersburg College.The 6-foot-3 Taylor was MCC's second-leading scorer with 22 points, going 10 for 10 at the charity stripe. 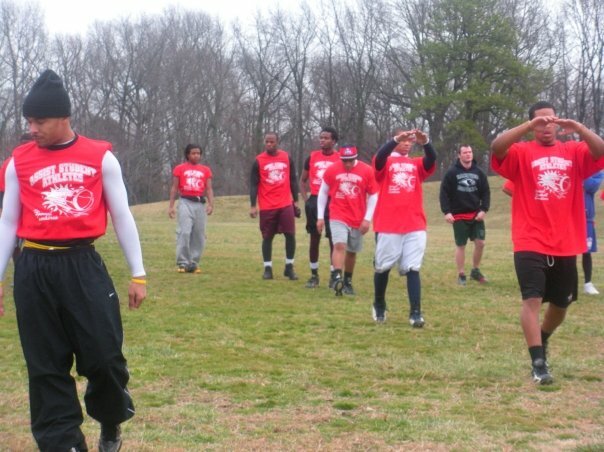 "That's what leaders do," MCC coach Reggie Bellamy said. "They take charge when the game is close. I commend Phyll on his leadership, because at one time I wanted him to pass the basketball, and he said, 'No, because if I get fouled, I'm going to hit my free throws.' Leaders make plays. "With MCC (15-13, 8-5) leading by 14 with five minutes to play, the Hawks rallied, scoring nine straight points to close their deficit to 84-77. The teams traded a few buckets, then HCC scored on consecutive layups by Michael Stephens and Kelvin Higgins to pull within five, 88-83. With tension building, Lancers guard Sheldon Shine nailed a 3-pointer from the wing to give MCC an eight-point cushion with a minute left, but the Hawks (13-16, 5-8) never stopped battling.HCC sank four free throws to pull within four points, then Taylor took charge.On Saturday, the Lancers defeated the Hawks 99-80, and Bellamy expected HCC to make some changes. "That was my biggest concern," Bellamy said. "I didn't know what type of changes and adjustments they would make, but I knew they would come ready to play. And my concern was would we come ready to play?" Wow these student athletes are doing excellent. 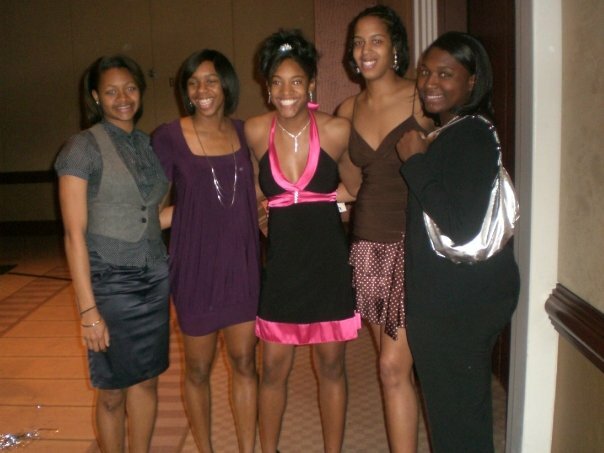 This picture features ASSIST Student Athletes who are at the CIAA Women Banquet of 2008 . Great Job Ladies for a wonderful season Keep up the good work. Richard Barbee Was Named The Conference Carolinas Freshman of the Year Belmont Abbey guard Richard Barbee was named the 2007-08 Conference Carolinas Men's Basketball Freshman of the Year according to a vote of the league's head coaches. He also earned a spot on the league's second team. Barbee played in 27 games, starting 25 of those and was second on the team with a 16.6 points per game average. He also averaged 4.5 rebounds, 1.48 steals and 1.1 assists per contest. The Virginia Beach, Virginia product scored a career-high 33 points twice, both coming on the road at the top two teams in the conference standings (Mount Olive-1/21 and Pfeiffer-2/26). He reached double figures in all but five games this season as he finished with 448. In 19 conference games, he was second in the league with an 18.6 points per game average, just one-tenth of a point behind the leader, and was third in points scored with 353. NASHVILLE, Tenn. — Tenacious defense held third-ranked Louisville (2-1) to 26.8 percent shooting from the field while the Hilltoppers (3-2) got a career-high 25 from Shelbyville, Ky. native AJ Slaughter as WKU stunned the Cardinals 68-54 on Sunday afternoon at the Sommet Center in Nashville, Tenn. The victory marked the first for the Toppers over an opponent ranked in the top three in the nation since a 110-98 win over #3 Indiana at Diddle Arena on December 28, 1967. Louisville entered the game with a taller, quicker, deeper roster, but were unable to find their offensive rhythm all afternoon. The Cardinals missed their first seven shots from the field and finished 15-of-56 for the game. WKU opened with a 10-7 advantage eight minutes into the contest on Steffphon Pettigrew's lay-up. After missing 10 of their first 12 shots from the field, Louisville got back-to-back lay-ups from Earl Clark to claim their first lead of the game. Slaughter quickly gave the Toppers back the edge on the 15-footer the next trip down the floor with 10:28 on the clock, an advantage they would keep until the closing minutes of the first half. Clark struck again, this time from outside, with a three-pointer with 1:44 remaining in the half to seemingly shift the tide in favor of the Cardinals heading to the locker room. But after a Will Scott trey with 58 ticks left capped a 7-0 Louisville spurt, Sergio Kerusch made one of two free throws and Slaughter nailed a 25-footer at the buzzer to knot the score at 28-28. Slaughter, whose oldest sister played basketball at Louisville and whose younger sister is heading to play for the Cardinals, grew up a U of L fan. He saved his best performance yet for the biggest stage, knocking down 8-of-15 shots and 7-of-9 at the line for 25 points, just missing his first career double double with nine rebounds. In the second half, Louisville continued to struggle offensively, going 10 minutes without a field goal beginning at the 16:20 mark. Two free throws by freshman sensation Samardo Samuels at 14:15 gave the Cardinals their final lead of the night at 37-36. The Toppers scored 13 of the next 16 points to stake a 49-40 spread with 7:56 remaining on a fast break bucket from Pettigrew. 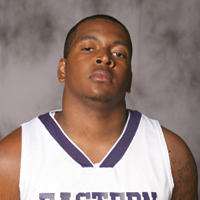 The 2007 Kentucky Mr. Basketball finished with his first career double double with 17 points, 10 coming in the second half, and 12 rebounds. 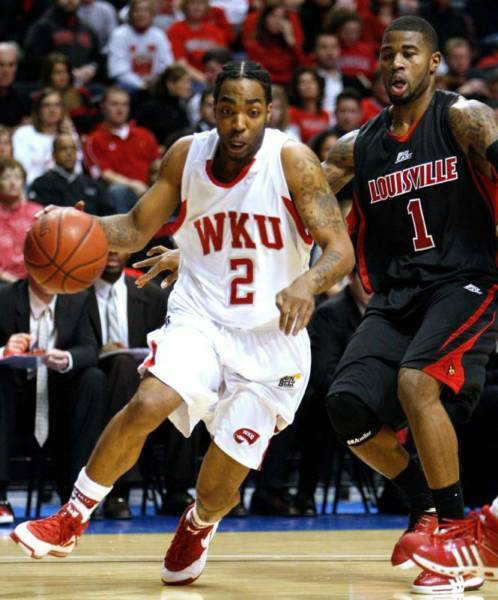 As a team, WKU outrebounded the Cardinals 48-36 while turning the ball over just four times in the second half. Terrence Williams finally ended the field goal drought for Louisville with 6:23 left as the Cardinals trimmed the deficit to six, 51-45, but an 8-3 run by the Toppers pushed the spread into double figures, 59-48, with 3:35 remaining on a Slaughter basket as WKU sank 15-of-18 second-half free throws to win going away. Anthony Sally accounted for all 10 bench points for the Hilltoppers who shot 41.1 percent from the field, but just 4-of-17 from downtown for 23.5 percent. Williams finished with 19 points for Louisville while Clark and Samuels each chipped in 11. WKU has a quick turnaround as they return home to Diddle Arena to face Georgia, the defending Southeastern Conference Tournament Champions, at Tuesday, December 2 at 8:00 PM. Fayetteville, NC - L'Oreal Price scored her second double-double of the season to help Fayetteville State (11-5, 7-3 CIAA) extend its win streak to four. Price (Raleigh, NC) was the second highest scorer for FSU with 20 points and 10 assists. 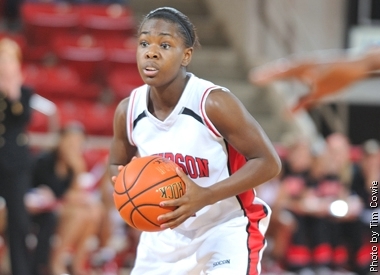 Deja Middleton (Richmond, VA) led all Lady Broncos with 22 points and nine rebounds. Fayetteville State pulled away for the victory in the final minute of the game. Shaw (8-9, 4-5 CIAA) led by one at the half, 35-34. L'Oreal Price almost scored her first triple-double of her career. She finished two rebounds shy with eight. Time also expired on Deja Middleton who missed out on scoring her third double-double. She had nine rebounds to go with her 22 points. Erica Gilley (Lexington, NC) was one of three targets for Price for she finished with 18 points. Chelsea Jeter was the third with the third ten points. Fayetteville State made 25 of its 37 free throws for 67.6% and converted 33 of the Lady Bears turnovers into 26 points. Shaw forced the Lady Broncos into 21 turnovers and made 22 points off of them. Shana Andrus led the game with 23 points and received help from Jessica Davis's 13 and Ashley Jackson's 12 points. The Lady Bears shot 43.9% from the floor and 56% from the line. Shaw out-rebounded FSU 46-39 and had 18 points from second chance opportunities. Fayetteville State will travel to Lawrenceville, VA for its second matchup against Saint Paul's College on Saturday, January, 24. Tipoff is at 5:30 pm. Starke, a 6'7" power forward from Richmond, Va., is the Division I Player of the Week. He turned in a remarkable game on Jan. 28 in an offensive explosion where Eastern Arizona edged Region 1 foe Glendale (Ariz.) 132-131. Starke led all scorers with 58 points on 27-of-33 shooting. He also had 15 rebounds in the contest, along with two steals. His performance set a new school and Arizona Community College Athletic Conference record for points scored in a single game. Starke followed up his performance with a game-high 28 points in an 89-87 victory at Central Arizona on Jan. 31. He also grabbed nine rebounds and shot 8-for-8 from the free throw line. Starke is EAC's leading scorer with 19.8 points per game, which ranks second in the ACCAC. He also ranks second conference in field goal percentage at 68 percent, and fifth in rebounding at 8.2 rebounds per game. 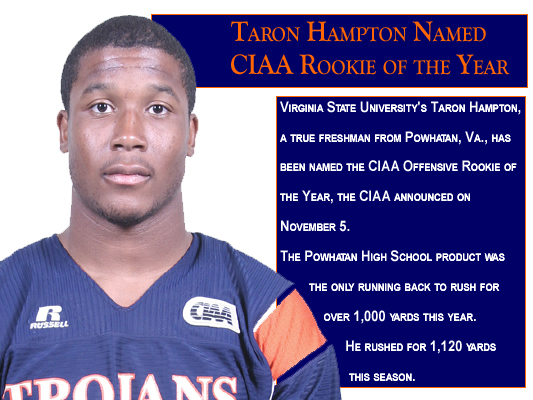 HAMPTON, VA- The 2009 Central Intercollegiate Athletic Association (CIAA) Basketball All-Rookie Teams, along with their respective Rookies of the Year, have been announced as voted on by the CIAA Sports Information Directors' Association. For the second consecutive year the CIAA Women's Rookie of the Year wears a uniform for the Lady Falcons of Saint Augustine's College. 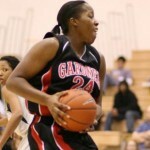 This season the honor goes to Keyona Bryant, a 6-0 center who hails from Springdale, MD (Flowers High School). Bryant, an 8-time CIAA Rookie of the Week, has been nothing short of phenomenal this season for SAC. She leads the Lady Falcons in scoring at 17.8 points per game and is second on the team in rebounding at 7.3 boards per contest. Bryant, the conference's second leading scorer, has registered four double-doubles this season and was the Lady Falcons' top scorer in 14 games this season. Virginia State's J.C. Chaney takes the 2009 CIAA Men's Rookie of the Year award. A native of Danville, VA (George Washington High School) the 6-8 forward/center netted five 20 plus games as a starter for the Trojans this season. His scoring and rebounding averages were third best for Virginia State and he led his team in field goal percentage (.552), which ranked 5th overall in the CIAA. Coffeyville defeated Kansas City 82-70 on Saturday afternoon and clinched a share of the Jayhawk East conference title in the process. 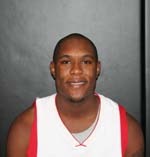 Lenny Daniel scored 18 points and had eight rebounds for Coffeyville. 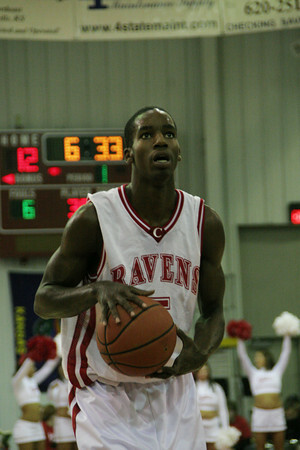 Daniel also reached the milestone of scoring 1,000 points in his Coffeyville Community College career. 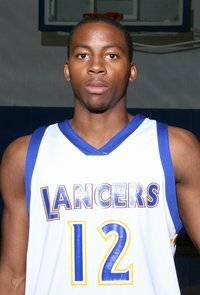 Daniel finished the game with 1,002 career points at CCC. Terrance Hill added 17 points including 3-of-4 from beyond the three-point arc. Antoine Branch had 14 points, and Antonio Jones scored 12 points. Coffeyville has won eight, or at least a share, of the last nine Jayhawk East conference titles. Coffeyville will host a first round Region VI playoff game on Wednesday night at 7 p.m. in Nellis Hall. Coffeyville, the top seed in the East, will host Dodge City. HAMPDEN-SYDNEY, VA-- Adam Desgain's three pointer with 4.9 seconds remaining capped a furious Randolph-Macon rally as the top-ranked Yellow Jackets topped archrival Hampden-Sydney 69-68 Wednesday night in ODAC Men's Basketball action. The Yellow Jackets (12-0 / 4-0 ODAC) have now beaten the Tigers in 10 of the last 11 regular season meetings of the two storied rivals. With the Jackets trailing 68-66, Desgain (Richmond, VA/ J.R. Tucker) drained a three-point bucket to put R-MC out in front. The Tigers had a chance to win the game but R-MC came away with the defensive stop to cap a comeback that saw the nation's top team down 16 with 11:36 to go in the game. Hampden-Sydney took advantage of a limited Yellow Jacket rotation due to foul trouble in the first half and was able to hold a 33-27 lead at the intermission. The Tigers then kept R-MC without a field goal for just over six minutes in the second stanza, and were able to open up a 44-29 advantage when Alex Patapov converted a three point play with 15:34 to go in the game. R-MC chipped away at the lead and were able to get its deficit to single digits when Eric Pugh (Silver Spring, MD/ James Blake) knocked down a pair of free-throws, making the score 53-44 just over 10 minutes to go in the contest. The Jackets then went on a 13-4 run, tying the game at 57 when Kevin Voelkel (Pleasantville, NY/Collegiate School) converted an old fashion three point play of his own. The teams exchanged buckets over the next few minutes with the Tigers able to open up a slim four point lead at 68-64 when Ben Jesse made a pair of shot from the charity stripe with 1:26 play. Two Jordan Brown (Chesterfield, VA/L.C. Bird) free-throws with just under a minute of play brought the Jackets within two at 68-66. The Yellow Jackets made a defensive stop on the next Tigers' possession setting up Desgain to hit the game winning three. Randolph-Macon had five players score in double figures, led by Brown and Danny Jones (Herndon, VA/Herndon) with 12 points each. Harrison George led Hampden-Sydney with 19 points, eight rebounds and three steals. R-MC improves to 12-0 and will round out its non-conference schedule on Saturday when it hosts regional rival Christopher Newport at 4:00 p.m.